LONGBOAT KEY — The town of Longboat Key is preparing to tear down the Colony Beach & Tennis Resort after a state judge ruled against condo owners there who tried to stop it. At nearly 10 p.m. Wednesday, Judge Hunter Carroll of the 12th Judicial Circuit Court denied a request by two owners of condo units at the resort for an emergency ruling to block the town’s plan to raze and redevelop the long-closed, decrepit property. Andy Adams and Sheldon and Carol Rabin had contested the town’s emergency demolition order issued June 1. Their lawsuit maintained that the town’s emergency demolition code violated their due process rights and “constitutes an impermissible taking of their property without adequate and proper notice and an opportunity to be heard.” The order stipulated that demolition could occur on or after June 15. Adams owns 70 of the property’s 237 condo units under his Colony Beach Investors LLC. The Rabins own two. 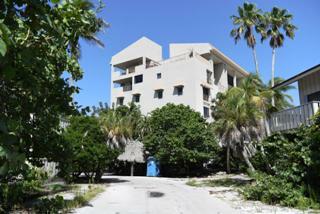 Longboat Key is moving forward with the demolition process, Town Manager Tom Harmer said Thursday. The town has completed walk-throughs with demolition contractors. Longboat Key issued the emergency order to raze the buildings at the vermin- and termite-infested resort after deeming the condos to be “unsafe and unfit.” The town commissioned an independent engineering firm to examine the buildings three times and each report found the Colony site was a public nuisance with dangerous structures in unsafe condition. The town’s response to the owners’ lawsuit cited the extensive litigation since the Colony closed in 2010; that its deteriorating condition had been well documented; and a prior judicial ruling affirming the decay in a civil case the Rabins lost. The town also argued that the plaintiffs had plenty of time — eight years — to correct the deficiencies in their properties but failed to do so. Lobeck said his clients won two of the four key points in the judge’s decision. One, that the plaintiffs will suffer irreparable harm with demolition because the condos can’t be rebuilt under new laws and, two, that there is no adequate remedy in statutes. “They can’t be made whole with money,” he said. Carroll ruled in favor of the town on two others, Hardy said. “The town properly exercised its police power authority in ordering the demolition; therefore, the plaintiffs will not be able to establish a due process violation and thus cannot show a likelihood of success on the merits. Once a world-class destination, the Colony collapsed in a legal quagmire about a decade ago, closed and has continued to deteriorate. As prescribed by the town demolition code, the building official and fire marshal determined that the conditions of the structures threatened the public’s health, safety and welfare, and the judge agreed that hazards existed. The owners’ lawsuit states that an “imminent” danger to citizens does not exist because the town requires the entire property to be fenced and the resort’s governing condominium association bans entry by the public and owners. The judge ruled against that argument, citing evidence that town police have 10 incident reports of trespassing and there were holes in the fence. Once the land is cleared, how it will be redeveloped depends on more court battles. Chuck Whittall, president and founder of Orlando-based Unicorp National Developments, said Saturday that the company is progressing with its plan to build a 166-room, 78-condominium St. Regis Hotel and Residences at the Colony site. The town of Longboat Key approved the proposal in mid-March. Unicorp already owns at least 66 percent of the condominiums as well as 95 percent of the recreational and commercial property. Adams and the Rabins contend that Unicorp doesn’t control enough of the condos to lay claim to the property. and a threat to public safety. The condo association board has already signed a development agreement with Unicorp. Under normal circumstances, the state requires a developer to own 95 percent of a condo community in order to gain control of the property. Even if Unicorp Acquisition LLC wins the termination lawsuit, that doesn’t guarantee the company gains ownership. The more likely outcome is a public auction of the property, Lobeck said.